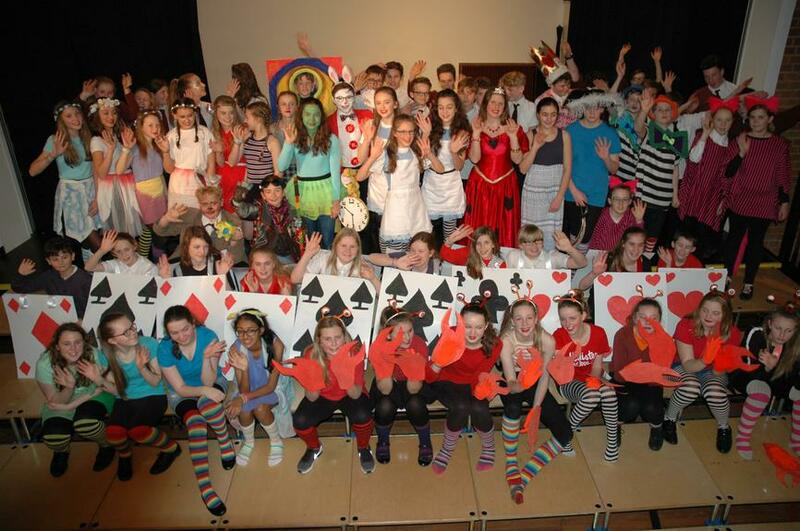 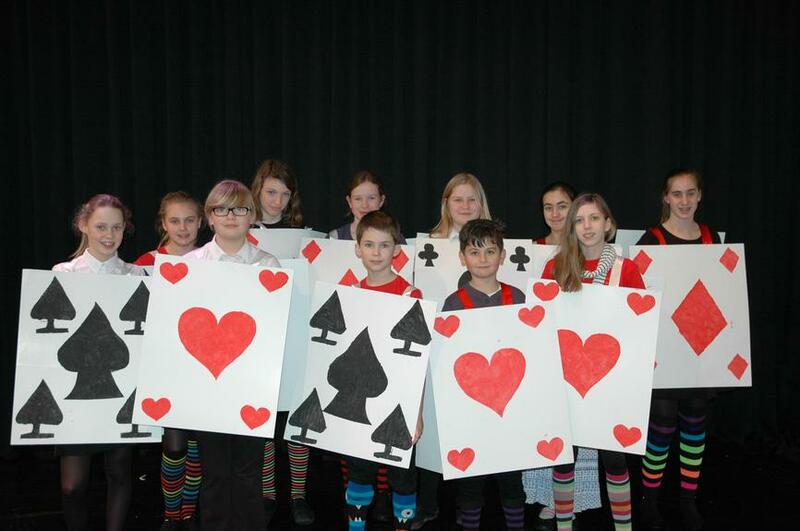 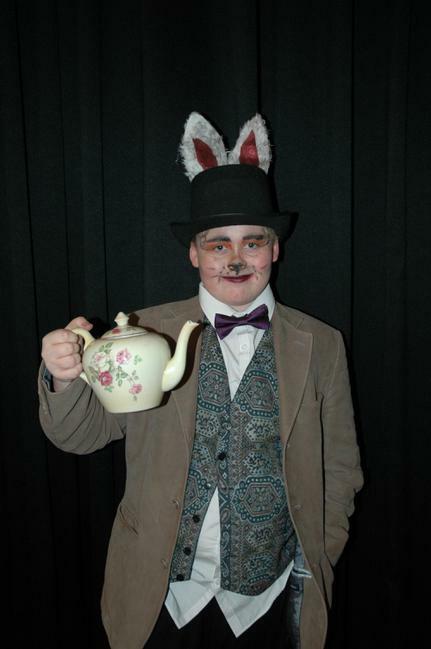 "Curiouser and curiouser...." A big congratulations to the year 8 cast and crew of 'Alice in Wonderland', which took place last week. 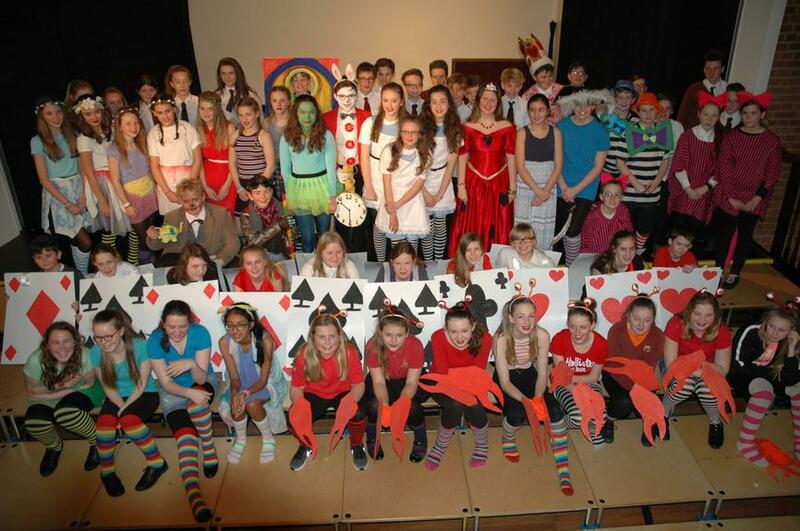 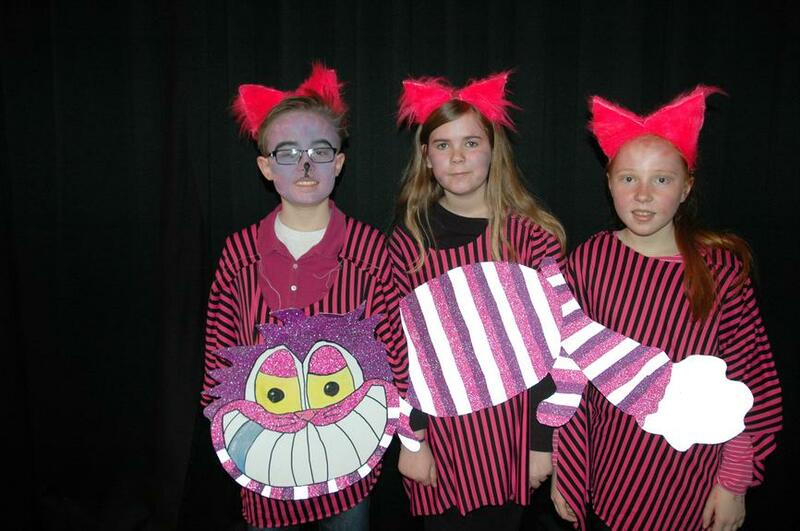 Pupils and parents alike were entertained by the curious adventures of Alice (or rather three Alices) as she ventured through Wonderland, meeting the strangest of characters, including the Cheshire Cat, the (very late) White Rabbit, Tweedle Dum and Tweedle Dee (or was it the other way around? 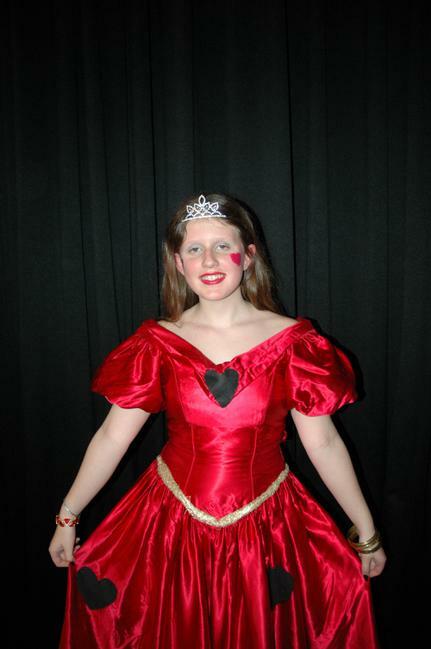 ), the Mad Hatter, March Hare, Caterpillar and Dodo, as well as a talkative doorknob, the bloodthirsty Queen of Hearts and the actually-quite-nice King of Hearts. 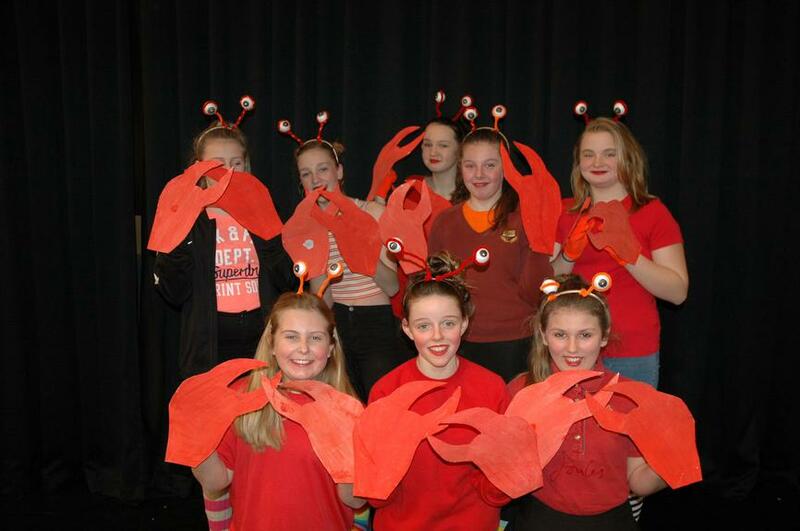 Not to mention a whole host of sea-creatures, rock-lobsters, royal-cardsmen and some extremely snooty flowers... 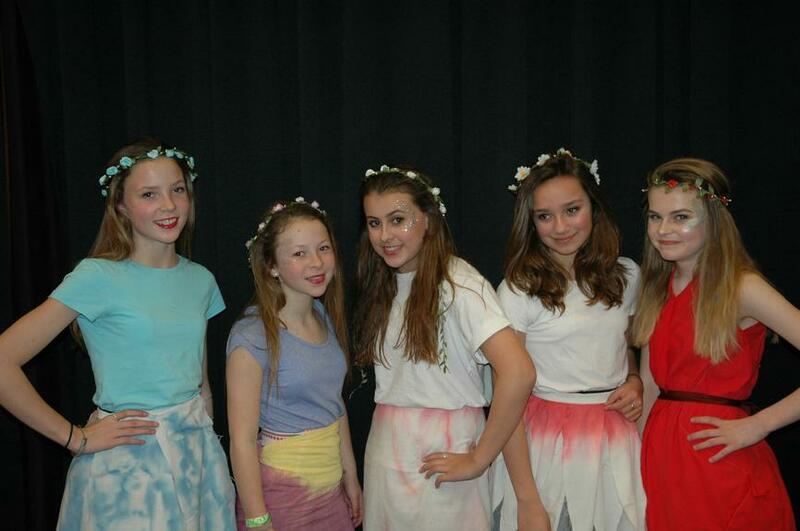 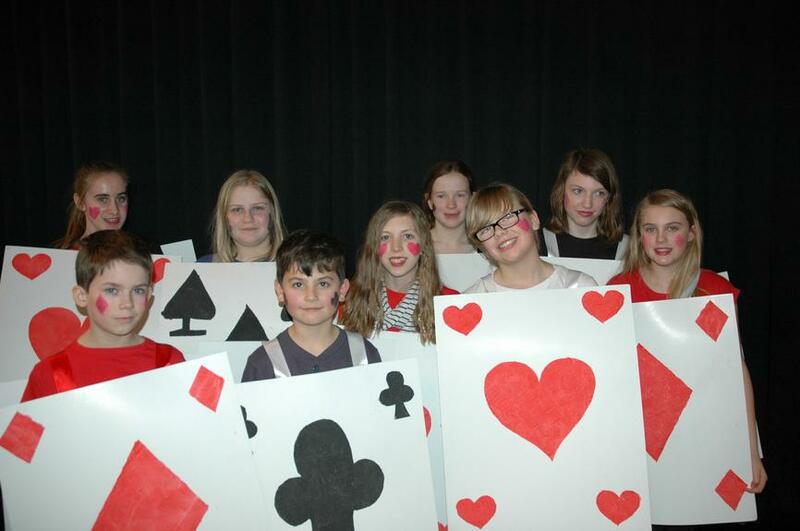 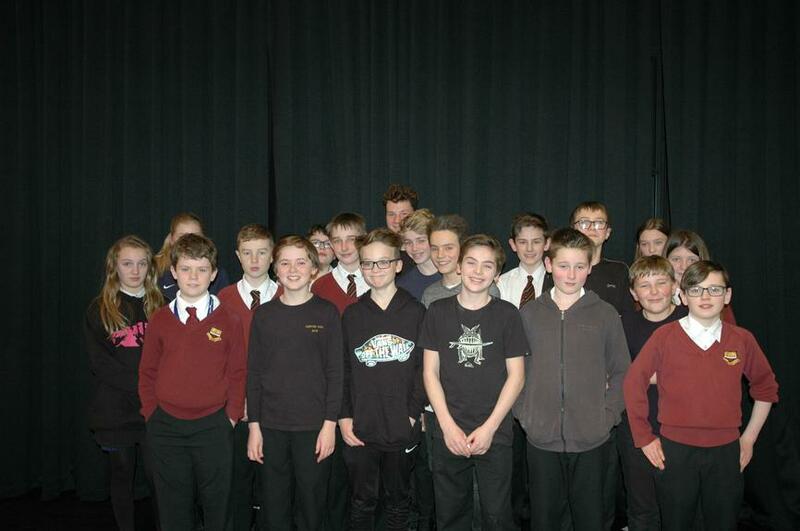 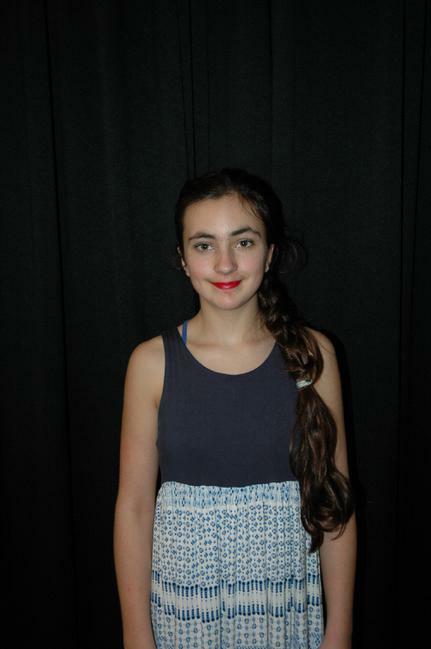 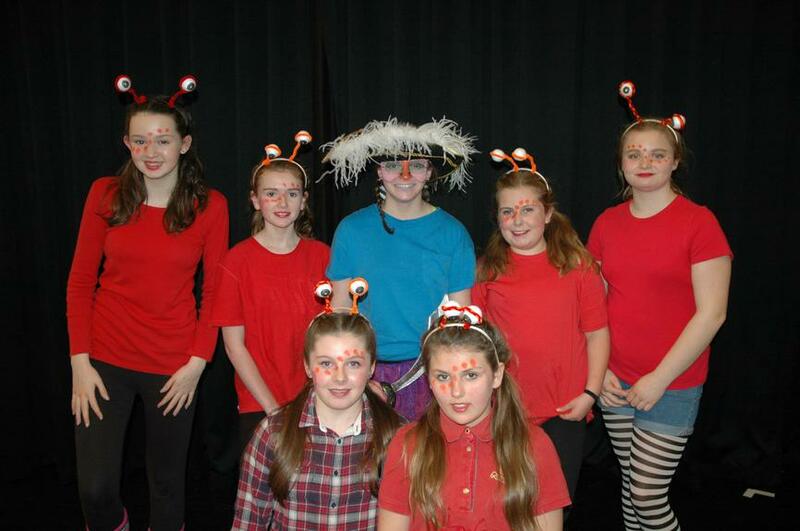 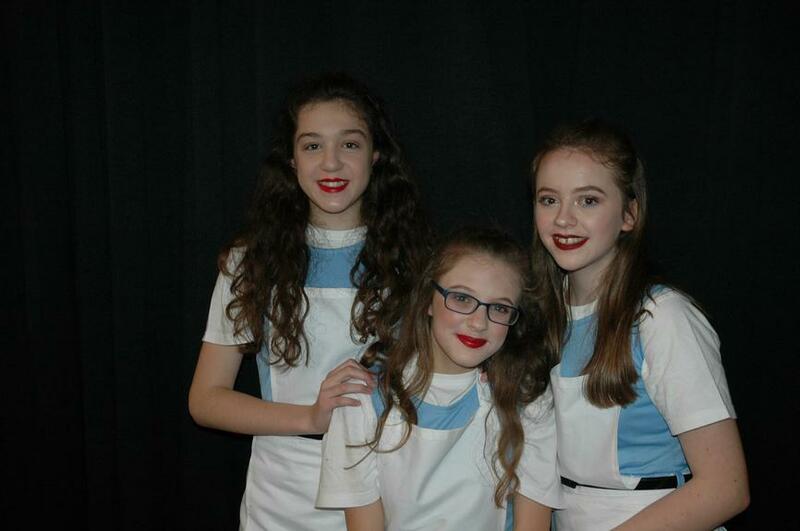 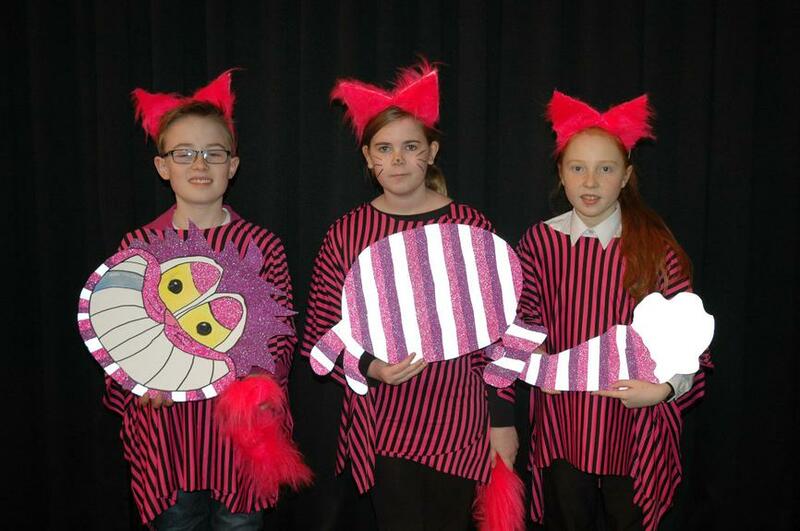 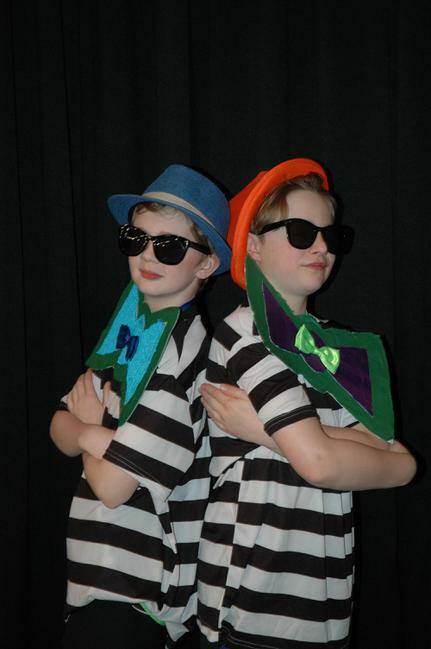 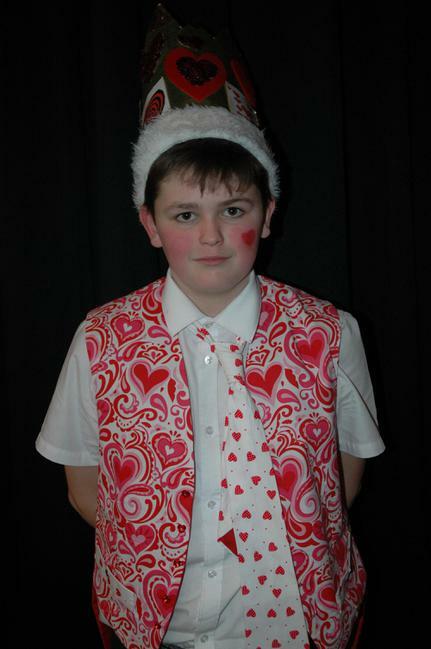 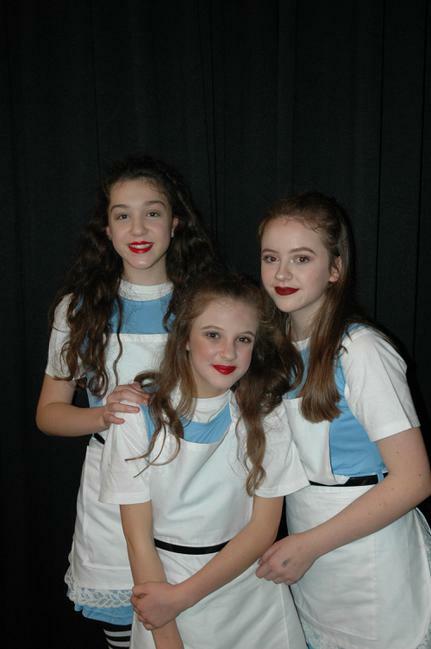 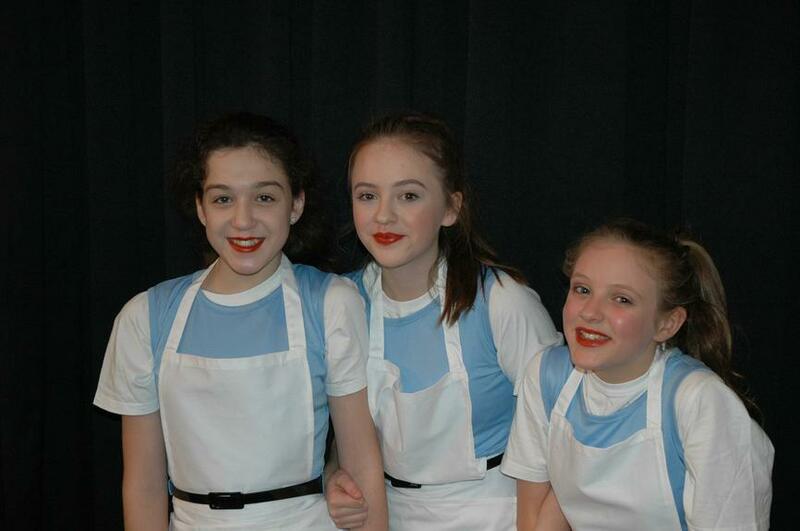 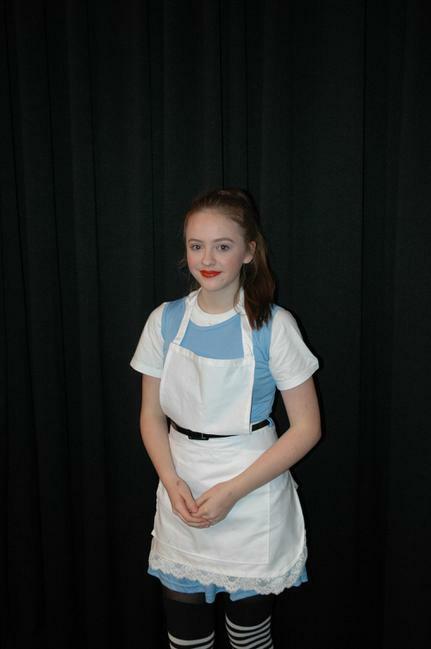 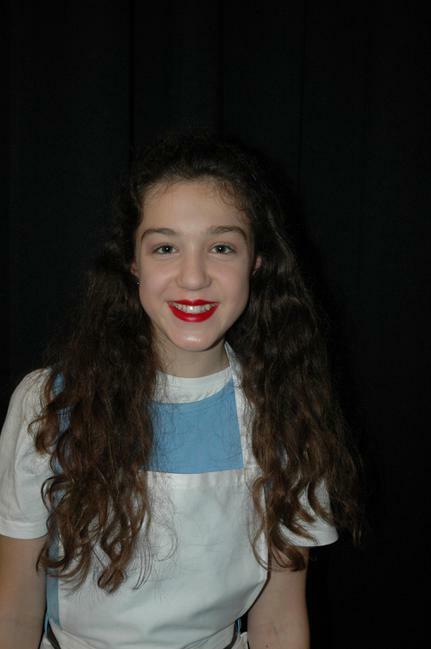 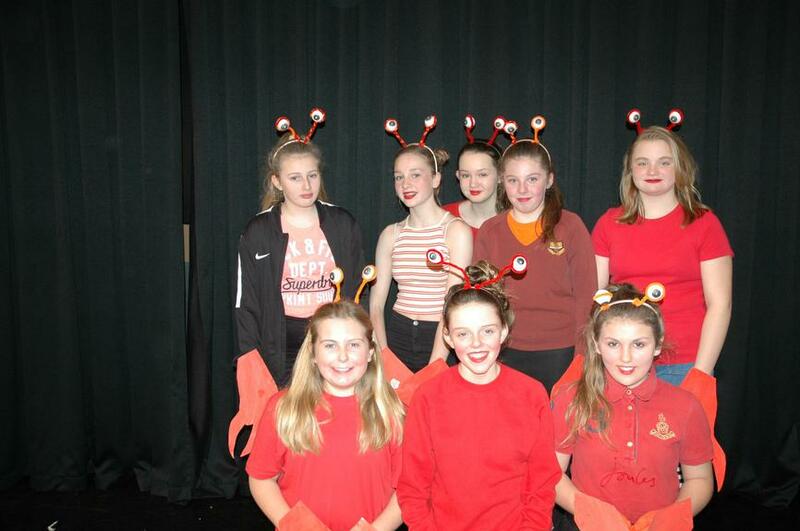 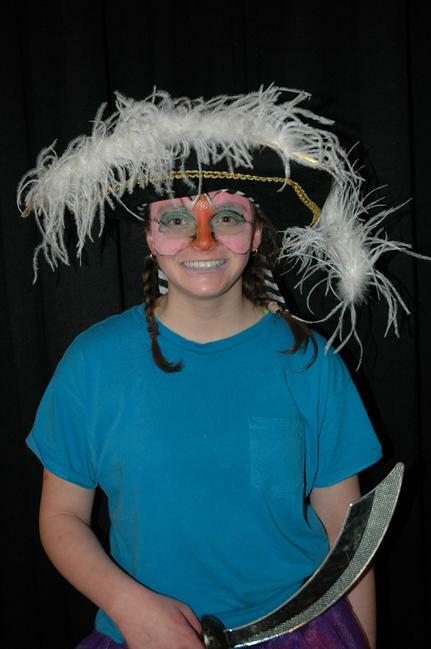 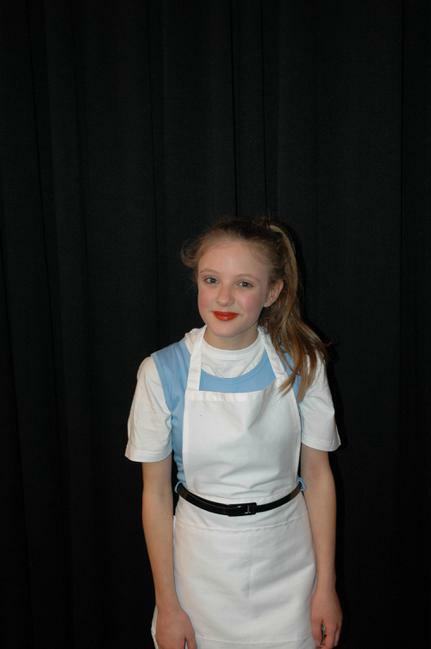 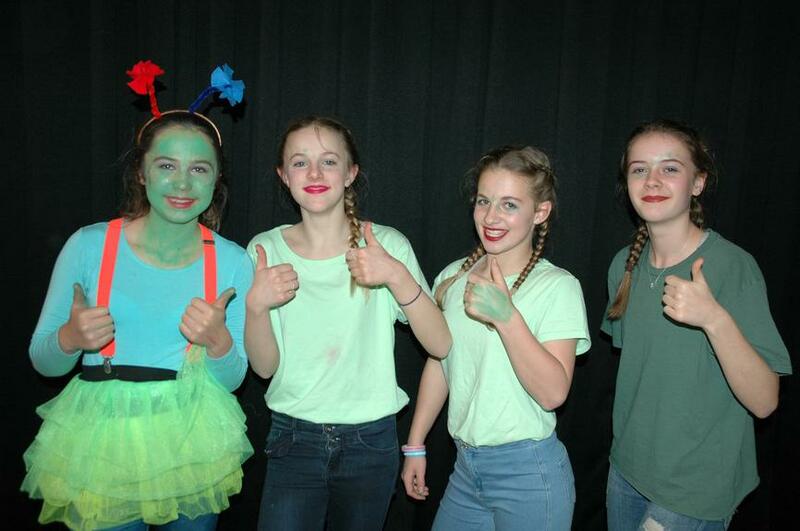 The pupils backstage played a huge role, doing lighting, sound, working in the wings, managing props, and doing make-up and hair, as well as managing the car-parking and front of house. 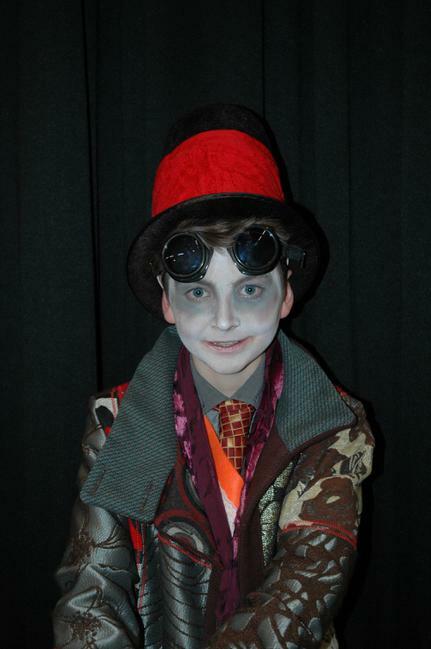 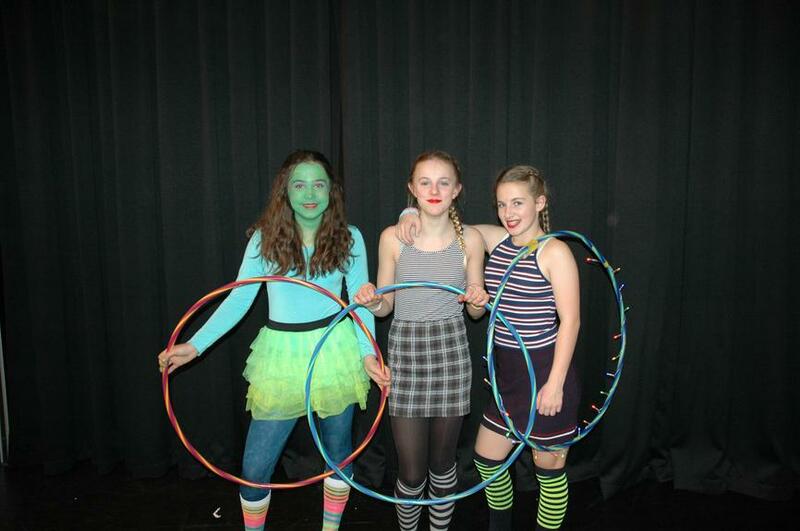 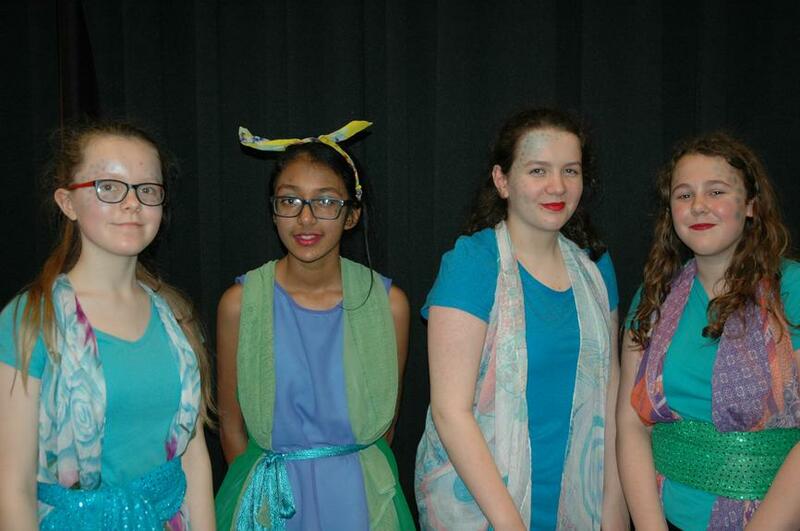 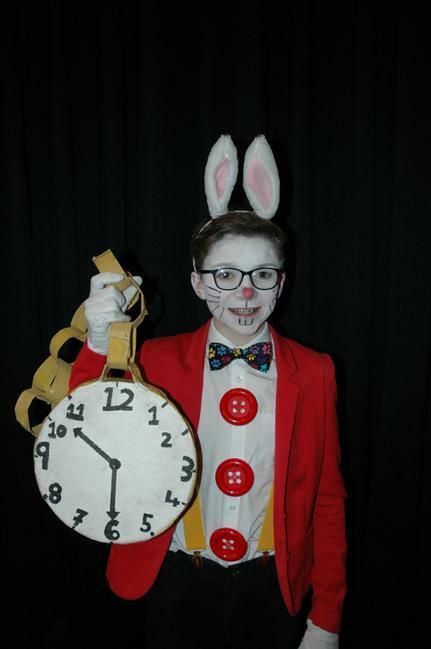 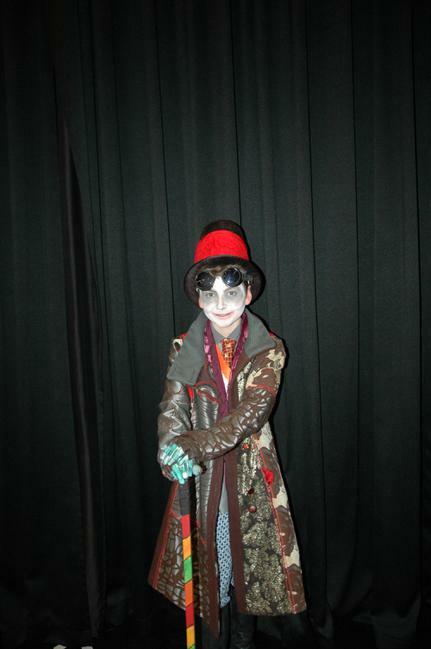 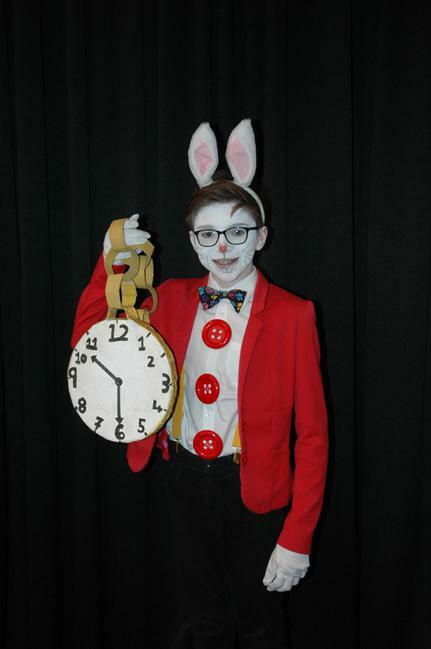 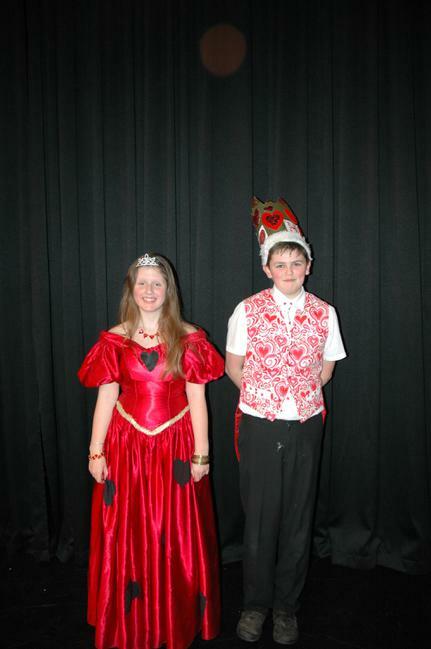 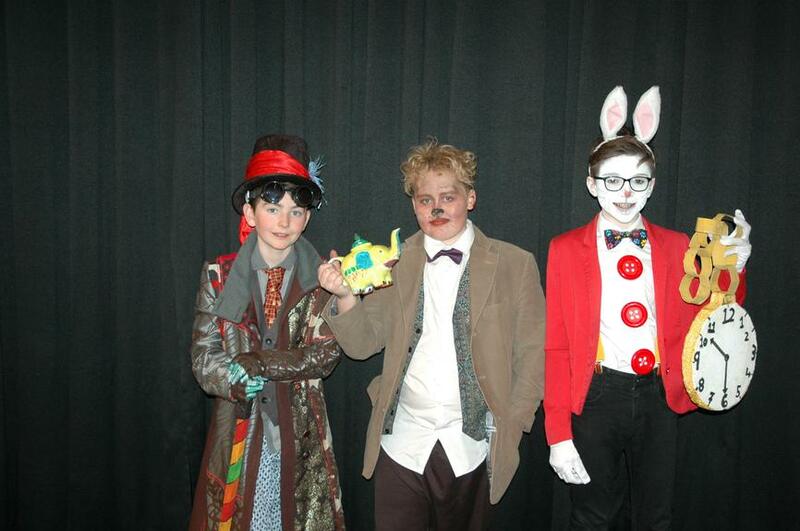 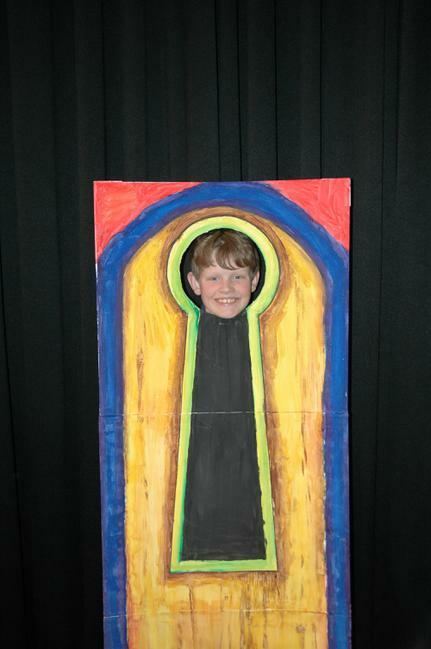 Many of the props and costumes were made by year 8 pupils as part of a Design Technology project last term, as well as by the lunchtime props club which has been meeting regularly. 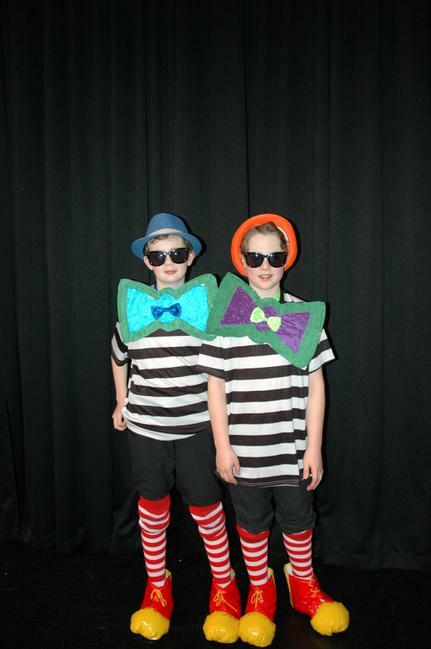 We were very proud of what the children achieved during the show, and hope that it is an experience they will all remember... even when the songs are finally gone from our heads!